Product prices and availability are accurate as of 2019-03-27 19:45:11 EDT and are subject to change. Any price and availability information displayed on http://www.amazon.com/ at the time of purchase will apply to the purchase of this product. Free shipping for any additional items. US Seller. Ship within one business day from California using USPS first class mail. 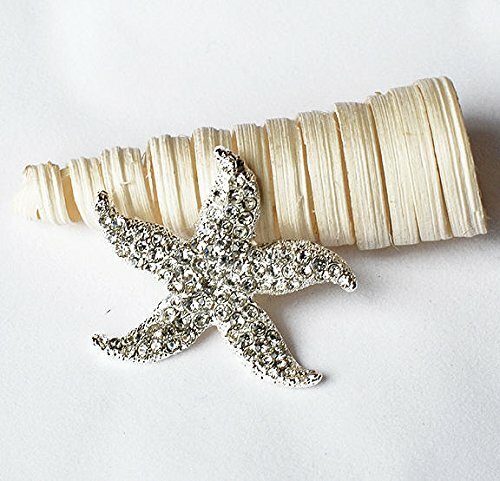 Measurements (approx): 2" x 1.75" (50mm x 38mm) Materials: silver metal A+ grade rhinestones Shape: starfish. Has a pin on the back Buy with confidence. 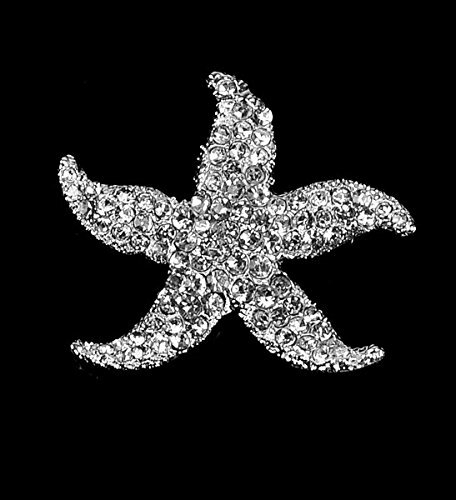 We are the biggest rhineston product seller on Amazon providing over 2000 rhinestone products.